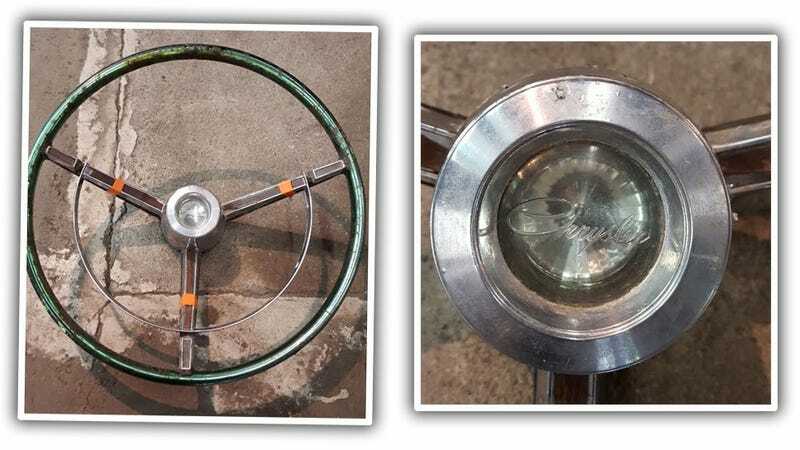 Can We Help ID This Mystery Mopar Steering Wheel? Earlier today, we got an email from a woman who found this steering wheel placed at her front door. The woman signed the email “Kelly Ladymopar,” so I’m guessing a Chrysler steering wheel isn’t totally unwelcome. Still, she’d like to know exactly what Chrysler it’s from, and I’d like to know what such a gift may mean. I’m glad she’s always wanted a green steering wheel— who wouldn’t? So, which of you Moparites knows what car this was from, and, for everyone else, what’s the subtext of an anonymous steering wheel gift? It’s gotta be something good, right?